It’s been 80-some years, but the New Deal is still on our radar screens. Conservatives want to repeal it and progressives need to remind people about what FDR really wanted out of it. Law professor Jack Balkin explains how progressives can also use the Constitution’s original language to fight conservative attempts to roll back the New Deal. Historian Harvey Kaye reminds us of FDR’s Four Freedoms speech and the legacy that remains unfulfilled. And micropolitics activist Madison Paige focuses on the need for more people to run for office at the very local level. Jack Balkin We all get a little exasperated when conservatives talk forever about the “original” meaning of the Constitution. But law professor Jack Balkin says progressives have just as much right to the original wording – for example, free speech, equal protection of the law and voting rights. Harvey Kaye New Deal historian Harvey Kaye says President Reagan turned FDR upside down and inside out and progressives have to reclaim his legacy. Madison Paige Did you know that half of all state legislature candidates have no opponent? Micropolitics activist Madison Paige does and she wants people to start challenging them. Jim Hightower The lesson from Ferguson, Missouri. The Supreme Court has just struck another blow against unions, and economist Gordon Lafer traces the Republican war on workers. Historian Harvey Kaye has written a book about FDR’s “Four Freedoms” and how they propelled us through the Depression and World War II. But he says Democrats have let them fall into disuse. 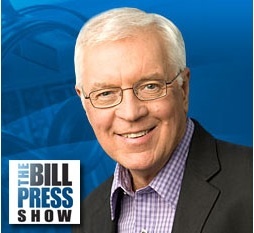 And Bill Press talks with the president of the Steelworkers, Leo Gerard, about the Supreme Court’s “baloney” decision encouraging workers to freeload off of unions. Jul. 6, 2014 Economist Gordon Lafer on the GOP and the Supreme Court’s war on workers … author Harvey Kaye on the legacy of FDR’s “Four Freedoms” ... and Bill Press with the president of the Steelworkers, Leo Gerard. Gordon Lafer Professor Gordon Lafer says the Republican war on workers is most intense in battleground states where the Koch Brothers are spending money and are targeting government employees, just like the Supreme Court. Harvey Kaye Historian Harvey Kaye has written a book on the legacy of FDR’s “Four Freedoms” and says we need a march on Washington to demand their fulfillment. Leo Gerard Bill Press talks with the president of the Steelworkers, Leo Gerard, about the Supreme Court’s “baloney” decision encouraging workers to freeload off of unions. 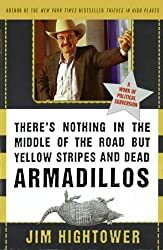 Jim Hightower Time for "We the People" to re-declare our independence. Today we go back into history to discuss with two presidential scholars perhaps the greatest president of all time, Franklin D. Roosevelt, and some of the worst, or most forgotten, gentlemen to occupy the White House. And Bill Press talks with Joe Cirincione, president of the Ploughshares Fund. Aug. 11, 2013 One historian examines the political skills of Franklin D. Roosevelt … another tells us who the worst president in history was. Ira Katznelson President Franklin D. Roosevelt had to make some unsavory political compromises to establish the New Deal. Historian Ira Katznelson tells us about that, and he calls for progressives to become more imaginative and galvanize a new New Deal. Michael Gerhardt Americans disagree about who was the greatest U.S. president, but we pay little attention to the worst. Presidential historian Michael Gerhardt's book “The Forgotten Presidents" takes a look at the least among them. Joe Cirincione Bill Press and his guest, Ploughshares Fund President Joe Cirincione. Jim Hightower Motorcycling an anti-woman agenda into law. At a time when many progressives are quarreling with President Obama’s penchant for compromise, a historian reminds us that Franklin D. Roosevelt made unpleasant compromises to achieve larger goals of economic and political freedom. Progressive commentator Catherine Poe comments on political characters, and says Michele Bachmann isn’t really gone. And Bill Press interviews Congressman Keith Ellison about government snooping. June 16, 2013 The perils of compromise, al a FDR … Chris Christie finds out that government works … Congressman outraged at NSA. Ira Katznelson Columbia University Professor Ira Katznelson has a new book out contending that Franklin D. Roosevelt compromised – collaborated if you will – with southern racists in Congress but he did so to help establish farther reaching economic and racial justice. Catherine Poe Michele Bachmann? Chris Christie? Hillary Clinton? Our regular commentator Catherine Poe has some sharp insights into all of them. Keith Ellison Bill Press and his guest, Minnesota Congressman Keith Ellison. 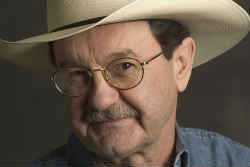 Jim Hightower The biggest shock of NSA's secret domestic spying.